Gavron Engineering is a family owned business manufacturing and installing quality products for in excess of 10 years. Our units are all of hot dip galvanized construction. Our units carry a 10 year guarantee on the metalwork components. At Gavron Engineering the evidence of quality and workmanship in our finished products and service delivery is something with which we are proud to be associated. 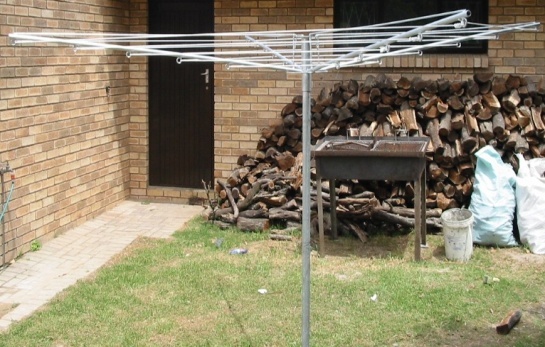 We carry a range of rotary and folding washing lines in stock at our workshop premises in Sidwell, Port Elizabeth. If you are short of space, our space saving folding units that hang flat against the wall when not in use, take up no space at all. They fold up and down in seconds, and are ideal for Townhouses, Cluster Homes, etc. 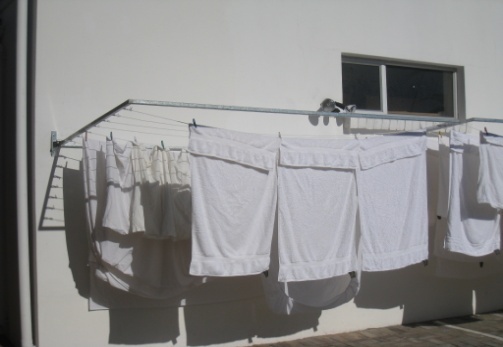 Besides our standard range, we are able to build washing lines to your custom requirements. In order to do this, we just require a sketch/drawing from you highlighting your requirements. Should you be undecided about which product best suits your situation, please feel free to call us for a no obligation quotation (unfortunately this service is only available to residents within a predetermined area of the Port Elizabeth Metropole). Gavron Engineering offers an installation service, or we can provide our products to you in kit form, and you can do the installation yourself (detailed installation instructions provided). The experience of Gavron Engineering ensures that your washing lines will be completed on-time, to very high standards and delivered and installed all at an affordable price. For a copy of our standard products brochure, please click here (link to brochure). Agents for Franco Belge, Godin, Infiniti, Nordica, Rinnai and Keith Hamilton in the Eastern Cape. We have a large range of fireplaces, cast iron closed Combustion Heating Fireplaces, wood and multifuel fireplaces and gas heating. Click on the image above to contact us.